Bora Bora Pearl Beach Resort and Spa places you next to Pearl Resort Beach and within a 5-minute walk of White Valley. This 80-room, 4.5-star resort has a private beach, a full-service spa, and 2 restaurants. Start your day off right with a free continental breakfast, served each morning from 6:30 AM to 10:30 AM. Enjoy dining at one of 2 onsite restaurants including Restaurant Tevairoa, which specializes in French cuisine. Order from 24-hour room service to satisfy your hunger without leaving your room, or explore the resort and get a beverage at the bar/lounge or coffee shop/café. Guests can expect to find free WiFi and 20-inch an LCD TV with cable channels and a DVD player. Beds sport premium bedding and the bathroom offers a rainfall showerhead, a hair dryer, and designer toiletries. Other standard amenities include a furnished balcony or patio, a minibar, and a coffee maker. Guests of Bora Bora Pearl Beach Resort and Spa have access to a private beach, a full-service spa, and an outdoor pool. For transportation, you can make use of an airport shuttle (available 24 hours) for XPF 3938 per person one-way, as well as a free area shuttle. Multilingual staff at the 24-hour front desk can assist with concierge services, securing valuables, and luggage storage. Other amenities at this beach resort include a children's pool, a health club, and a spa tub. Walk outside to smell the salt air and watch the ocean waves from the resort's beach. Enjoy the umbrellas and sun loungers for a relaxing day at the beach. At Bora Bora Pearl Beach Resort and Spa, pamper yourself with a treatment at the full-service spa or have fun in the sun with activities like snorkeling and scuba diving. Guests can enjoy a complimentary breakfast each morning. Dining is available at one of the resort's 2 restaurants and guests can grab coffee at the coffee shop/café. The property also has a grocery/convenience store. Guests can unwind with a drink at one of the resort's bars, which include a beach bar, a poolside bar, and a bar/lounge. Public areas are equipped with complimentary wireless Internet access. This luxury resort also offers an outdoor pool, a children's pool, and an outdoor tennis court. 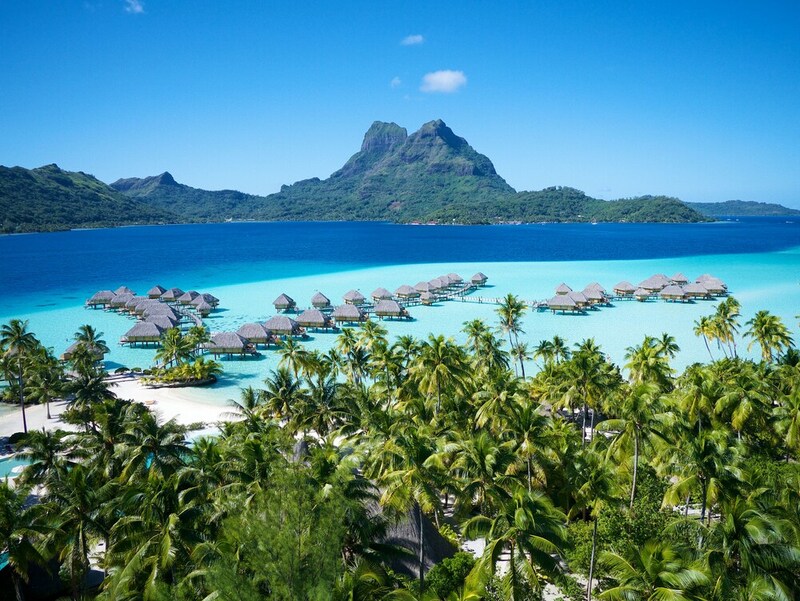 Bora Bora Pearl Beach Resort and Spa offers 80 air-conditioned accommodations, which are accessible via exterior corridors and feature DVD players and minibars. Rooms open to furnished balconies or patios. Beds feature premium bedding. 20-inch LCD televisions come with premium cable channels. Bathrooms include showers with rainfall showerheads, bathrobes, slippers, and designer toiletries. Guests can surf the web using the complimentary wireless Internet access. Business-friendly amenities include desks, complimentary newspapers, and phones. Additionally, rooms include safes and coffee/tea makers. In-room massages and irons/ironing boards can be requested. A nightly turndown service is provided and housekeeping is offered daily. Restaurant Tevairoa - This beachfront restaurant specializes in French cuisine and serves breakfast and dinner. Guests can enjoy drinks at the bar. Open daily. Miki Miki - This poolside coffee shop specializes in local cuisine and serves lunch only. Guests can enjoy drinks at the bar. Open select days. Honu - Overlooking the ocean, this restaurant specializes in Italian cuisine and serves dinner only. Reservations are required. Open select days. Start your day with a free continental breakfast, available daily from 6:30 AM to 10:30 AM. You can order a meal from 24-hour room service. A private beach, an outdoor tennis court, and a health club are featured at the resort. An outdoor pool, a children's pool, and a spa tub are on site. Other recreational amenities include a sauna. Manea Spa has 8 treatment rooms including rooms for couples. Massages are available on the beach and in the spa; other services include facials, body scrubs, and body treatments. The spa is equipped with a sauna. A variety of treatment therapies are provided, including hydrotherapy. Guests must contact the property in advance and provide flight details in order to arrange check-in. Contact information is provided in the confirmation email received after booking. Rollaway/extra beds are available for XPF 13680 per night. A tax is imposed by the city: XPF 200 per person, per night. This tax does not apply to children under 15 years of age. Guests must transfer via airplane and boat to the property. Guests must contact the property at least 72 hours before travel, using the contact information on the confirmation received after booking. This property offers transfers from the airport (surcharges may apply). Guests must contact the property with arrival details 72 hours prior to arrival, using the contact information on the booking confirmation. A resort fee is included in the total price displayed.